As someone, who rides a bike, motorcycle, or ATV, you’re putting yourself at risk each and every time you go for a stroll. Although you might have fun along the way, the risk is there and the possibility of an accident remains no matter how proficient you become. With this in mind, it is absolutely pertinent to protect yourself from potential brain injuries. In order to do this, you will need to equip yourself with the best helmet possible. Although there are numerous things to consider when finding a helmet, fit is more important than anything else! Within this guide, you will learn how to measure your head for a helmet, so you can guarantee you get the perfect fit! Before going forward, you’ll first need to acquire a measuring tape. Not just any measuring tape will cut it. Since you’re going to need to measure the circumference of your head, you’ll need to acquire a roll of flexible measuring tape. This type of tape will wrap around your head and give you the ability to get a precise measurement. Once you’ve acquired the measuring tape, you will want to go ahead and wrap it around your head. Make sure the tape remains flat and doesn’t pinch or fold along the way. The two loose ends of the tape should remain between your finger trips. Pull these tight, until they crisscross above your eyebrows. Read It: For the next step, you may need the assistance of a friend. Grab the center of the tape above your eyebrows and hold it tight. With the center of the tape held securely, you should remove the measuring tape from your head. Now, read the measurement. 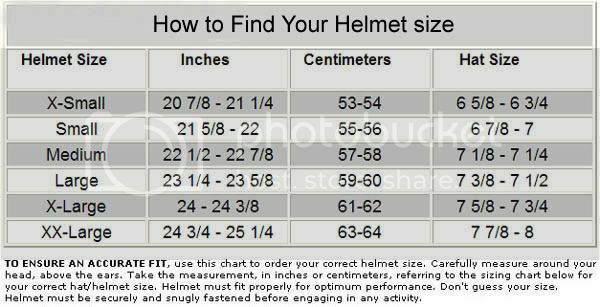 This will provide you with the circumference of your head and will help to make selecting the right helmet much easier. Be sure to write down this measurement, so you can keep it nearby, while scouring through your helmet options. Another thing to remember is your head’s shape. Some people have oval heads, while others will have an egg-shaped head. The shape of the head will be very impactful on your decision. The good news is that most manufacturers accommodate various head shapes. Each helmet will be made for a specific head shape, so this is another thing you will need to look at when purchasing a motorcycle helmet. After you’ve gotten an accurate measurement, you’ll want to go ahead and begin scouring the market’s array of helmets. You’ll find that each helmet is unique and some of them will not provide specific sizes. Some will only have sizes, such as small, medium or large. Others will specifically tell you what circumferences they’re compatible with. Some helmet manufacturers will provide consumers with a helmet sizing chart. Be sure to match your head circumference with the specific size on the manufacturer’s chart. Sizes can vary slightly from manufacturer to manufacturer. There is a little room for error, when it comes to the size of helmets. With this in mind, it is pertinent to make sure you try on the helmet for yourself. Although you might’ve used the chart to get the right size according to the manufacturer, you may still not be able to get the precise fit that you’re after. The only surefire way to guarantee that the helmet will be comfortable and safe is by personally trying it one. So, once you’ve gotten the opportunity to do so, you should go ahead and put the helmet on.Size is important, but the shape will also prove to be vital. Make sure the helmet will not slip up and down too much, once it has been strapped on. Also, it may be possible to insert a little extra padding for a better and more secure fit. When you are trying on helmets for the first time, you are not going to know exactly what to look for. The proper size and perfect fit is crucial, in achieving maximum comfort and safety. The first things that you should consider are the cheek pads, which should touch your cheeks, but they should not press in too deeply. The proper size, cheek pads, and chinstrap will ensure that the helmet stay intact, in the event of an accident. The chinstrap is a very important component that plays a huge role in safety. If the chinstrap is properly fitted, it will prevent the helmet from moving from side-to-side and becoming dislodged during an accident. For the sake of your head, the helmet must remain intact at all times, while you are riding and during a crash. When it comes down to it, there are thousands of helmets on the market and a few will work exceptionally well for each individual. In order to get the best helmet for your individualistic needs, you’ll need to do a little research and take precise measurements. 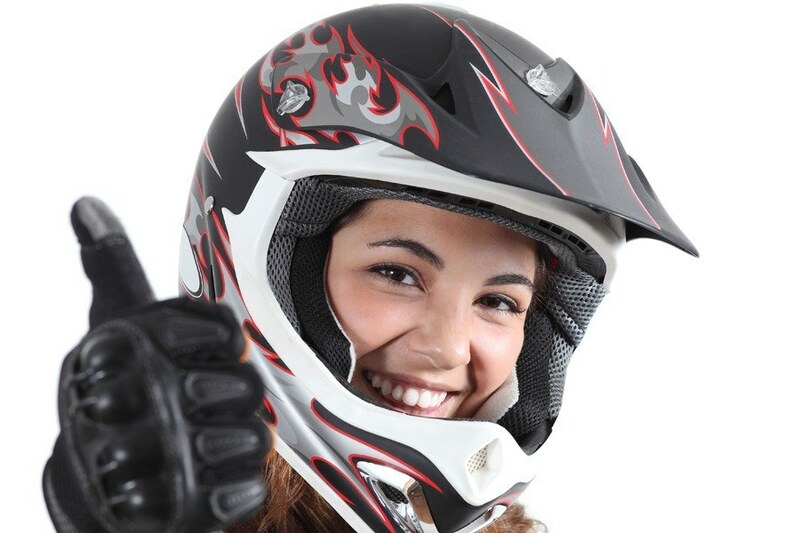 It is also recommended that you take the time to check out Top 18 ﻿﻿﻿﻿best motorcycle helmets.